"No, really, I'm not Jane! Look at me! We sort of look alike, but she is... well, plain, and I'm famous!" Leeza Hamilton loves the spotlight. She has been blessed to attain her dream job, performing in front of audiences who love her. Her life is like a dream, the fantasy of every American teenager. She is on the cover of magazines, in commercials, in homes across America on TV and she is seen world-wide in her videos on the Internet. Her life lacks nothing - except reality. When Leeza meets Plain Jane, who looks just like her, and who has a perfectly normal and "dull" life, which includes a young baby, they decide to trade places for one night, in between performances. What happens if they can't get back to their own lives during that time? What if Jane doesn't come to trade places back with Leeza? What if no one believes Leeza is really Leeza? 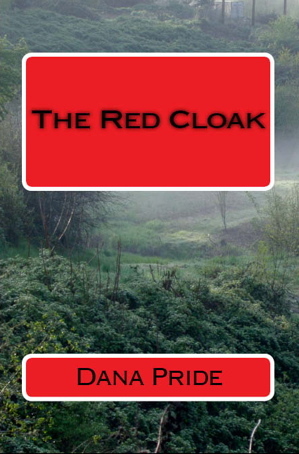 "THE RED CLOAK" WAS WRITTEN ENTIRELY DURING NOVEMBER 2008, NATIONAL NOVEL WRITING MONTH. READ EXCERPT FROM "THE RED CLOAK"